<b>MEDICINAL MUSIC:</b> Brazilian multi-instrumentalist Rodrigo Amarante will explore themes of self and space through his acoustic numbers, Friday, May 29, at The Goodland Hotel. For Rodrigo Amarante, music is the unity that binds our collective soul. On Friday, May 29, KCSB and The Goodland hotel are inviting all to come together in an intimate poolside student appreciation event, where the Brazilian-born multi-instrumentalist will explore themes of self and space through his beautiful acoustic numbers. I spoke with Amarante over the phone as he sat in traffic, where he reflected on the function of art, his roots, and coming together. You will be playing near the same time as UCSB’s Come Together Isla Vista Remembrance activities, and KCSB is inviting the audience to your show at The Goodland in light of these events. People find your music healing and relaxing. To what extent do you see your music as healing? Music, or art in general — its function, so to speak, is to give perspective. Whatever art event it is — a concert — it’s still a ritual, and the function of that is … to bring the sense or perspective that we are one thing. That is what I hope art should bring, perspective over anything, yourself, others, your history; that should be the solution for all the problems we have in the world … being able to put yourself in others’ shoes. To what extent are your roots important to you? I’ve grown up getting used to letting go of places and people. There was sorrow in that, but there was something to gain from it. To be open to whatever suggestions chance has given me. Getting out of my country and being away from family, friends, and work comfort zone has had many different little turns for me. When I came here, I realized that I was actually writing and cooking more Brazilian than ever, and by being outside my home, I understood that, and it actually freed me to be, to embrace how Brazilian I am. It’s a very interesting thing. I don’t force myself to be either less Brazilian or more Brazilian; I feel either of those things are inconvenient artistically. To what extent do you feel like a servant channeling a divine energy in your music, or channeling muses, and to what extent does it feel like a creation of yourself? Well, far as I understand, what we call the self, generally speaking, is a consciousness of self, but I believe that we are beyond that. I believe that there’s something behind that self that is still us but also something else — maybe everything else. And so I feel like the vision of the self is narrow. The goal of writing is to find what’s within the shadow of the self. But the idea of a muse or god or imaginary spectator, which is again an extension of yourself, because it’s your creation, is present, yes. What I want is to really belong, is to be useful, is to be a part of it. I want to continue it, you know? That feels holy, and it’s funny that in English the word holy as in divine sounds the same as wholly as complete. Whatever is holy in the sense of the divine is telling of us of the whole, how we’re all just a bunch of bacteria in a god’s stomach. We need self-expression, individual thought, but the goal is to be unified, to belong. 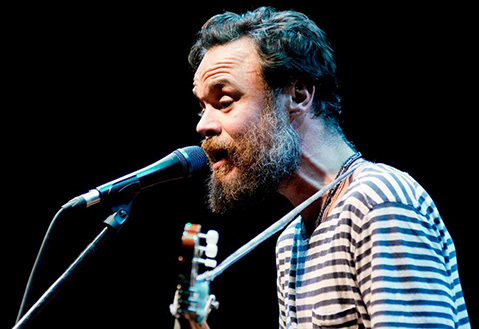 Rodrigo Amarante plays Friday, May 29, at The Goodland, 5650 Calle Real, Goleta. For information, call (805) 964-6241.